Swimming world record holder and Australian legend Shane Gould, 61, has been crowned the Sole Survivor on Network Ten’s spectacular family entertainment series, Australian Survivor: Champions V Contenders in the finale. The Olympic icon managed to outwit, outlast and outplay the 23 other contestants after 50 days in the challenging tropical region of Savusavu, securing the win along with $500,000 in prize money. Gould becomes the oldest winner of the title. Network Ten also posted its own records last night with the most-watched season of the three so far for Network Ten. The Grand Finale achieved the biggest Survivor Grand Finale audience ever, The Winner Announced was up year on year and was the #1 program in 25-54s, while the Reunion episode was the biggest Reunion episode ever. See separate feature about Australian Survivor ratings here. What began as a series of 12 Champions and 12 Contenders doing battle saw three original Champions taking on their final chance at immunity: AFL footballer Brian Lake, criminal barrister Sharn Coombes and swimming great Shane Gould. After doing all the hard work to get to the final two, Sharn made one error that prevented her from winning the ultimate prize. Arriving at the ultimate endurance test, Brian, Sharn and Shane learnt they would be faced with holding onto an idol on top of a pole in the open waters, feet uncomfortably perched upon narrow pedestals, exposed to the natural elements, at the mercy of the tides. 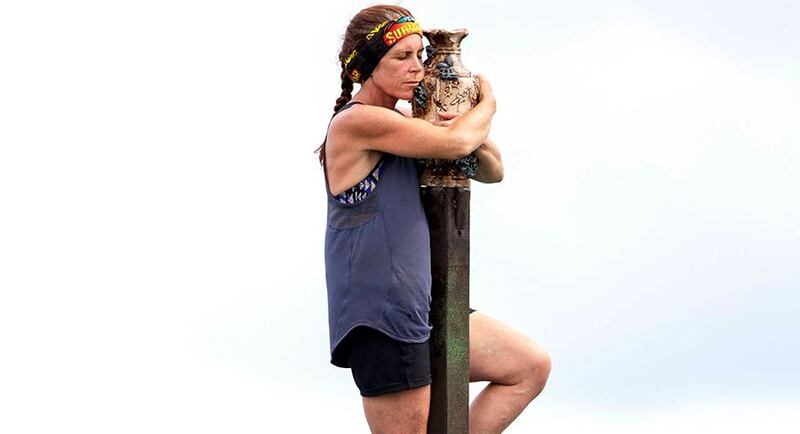 Unlike the final challenge in previous seasons of Australian Survivor, this year contestants were required to keep both hands on the idol and both feet on the pedestals. Offering an extra motivational incentive to endure the harrowing challenge, host Jonathan LaPaglia surprised the remaining castaways with an emotional visit from their loved ones. Battling immense seasickness from swaying atop the pole, Shane was the first to concede, collapsing into her husband Milton’s loving arms after one hour and 18 minutes. Desperate for the win, Brian’s attempt to crack Sharn’s determination and her loyalty to Shane resulted in a heated exchange between the duo as they continued to fiercely battle it out. Just after two hours, Brian made the fateful mistake of throwing his hat to Jonathan, thus breaking the rules of keeping both hands on the idol and eliminating himself from the immunity challenge by default. With Sharn winning the all-important immunity necklace, her decision to stay loyal to her original alliance saw her take Shane through to the final Tribal Council. 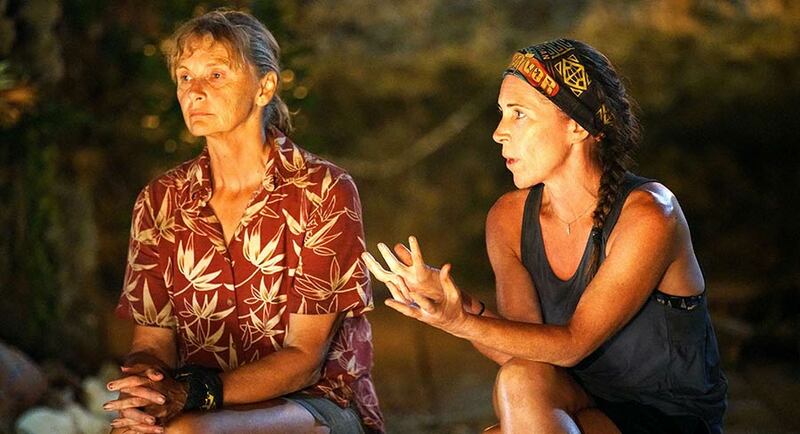 At the last Tribal Council of Australian Survivor: Champions V Contenders this season, Sharn and Shane made their final emotional pitches to the jury. With nowhere to hide, the duo faced down their adversaries, tackling tough questions and criticisms head on and explaining their strategies and social games. The deciding votes were dramatically cast and with only one ballot between them, Jonathan revealed Shane Gould as Australian Survivor: Champions V Contenders Sole Survivor.